The aim of this audit was to increase awareness of, and access to, audiovisual material relating to the liberation struggle in South Africa through identifying and listing archives, stock footage libraries and other repositories, both nationally and internationally, which currently house such materials. A brief overview of the holdings of each repository is included, along with contact details and links to related finding aids, where available. Because of time and other constraints in conducting this audit, the report details fairly sizeable collections only. 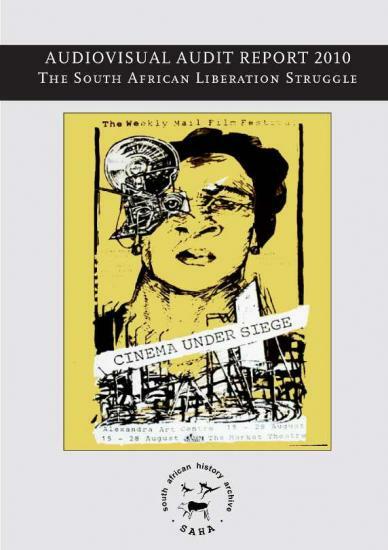 There are many individuals and production companies that have made one or two films on subjects related to the anti-apartheid struggle, but may not been listed in this report as they do not necessarily own source material that can be made available to others. This report should be seen as a work-in-progress, to which additional information can be added and for which the existing information can be refined. SAHA remains committed to obtaining an exhaustive audit of audiovisual heritage related to the South African liberation struggle. This will be released each year on World Day of Audiovisual Heritage. An electronic version of this publication is available as a free download for registered users.